The DVD begins with the presentation of sixteen test positions, for which the viewer is asked how to continue. 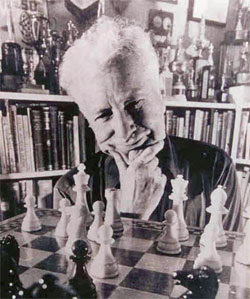 This is followed by a twenty-seven minute introduction in which King examines the game Rustemov–Vaganian, demonstrating how subtle piece maneuvering can completely alter the game. 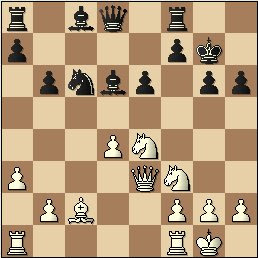 Many of the video segments revolve specifically around knight repositioning, particularly to the square f5 (for White) or f4 (for Black). “It’s often the case when you get a better square for the knight that things start to happen,” he says. The entire review can be viewed for the next week at the ChessCafe main book review page and is permanently archived here. ChessBase has published an informative article about Professor Arpad Elo, for whom the Elo rating system is named. 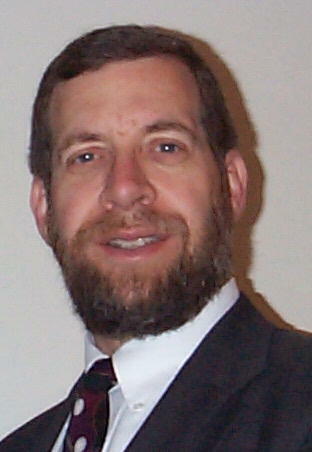 August 25, 2008 marks Professor Elo's birth. He was born in Egyházaskeszo, Hungary, as Árpád Imre Élö. His family emigrated to the United States of America when he was ten. Educated in public primary and secondary schools, he earned his BS and MS degrees, in Physics, from the University of Chicago. He spent the better part of half a century teaching various courses in physics and astronomy at university level in Marquette University and the University of Wisconsin. In many ways my friendship with Professor Elo was unique. In 1973, when it started, I was 26 and he was 70 – much older than my father was then. 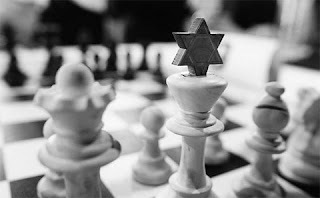 More than a whole generation in time and of ideas separated us but our mutual interest in chess, mathematics, statistics and history – disciplines that transcend the vicissitudes of fashion – bridged the wide age gap. We were destined never to meet each other in person. But a personal encounter did not seem to be a necessary condition for a warm relationship to develop. When some tragic events befell his family in 1985, he revealed his feelings to me in a letter. "I feel very sentimental about the friendship and rapport that we have established over these few years. Here we are, half a world apart, never having met face-to-face, of different race and different cultural background, and we communicate as brothers or as father and son – it is truly touching. I treasure this friendship now especially when my life has reached such a low ebb." Details are still being worked out, but it appears that the beautiful new Chess Club and Scholastic Center of St. Louis will be hosting the 2009 U.S. Championship. Stay tuned for more information as it becomes available. Khmelnitsky asks, "Black just played 1...b7-b6. What is your assessment of this move?" Read his brief but informative column to find out why this was a mistake. 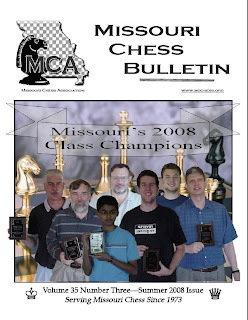 The Summer 2008 issue of the Missouri Chess Bulletin is available online, here. There's quite a bit of material about Missouri players and events. 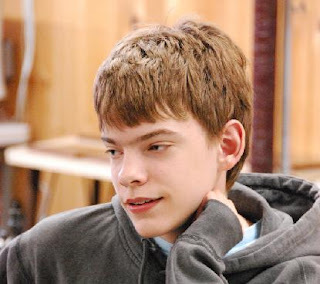 My article, entitled "Spotlight on Missouri Chess," covers high school student Frank Smith, Missouri's representative at the recent Denker Tournament of High School Champions. Gambit Publications has produced a number of annotated game collections, along a variety of themes. 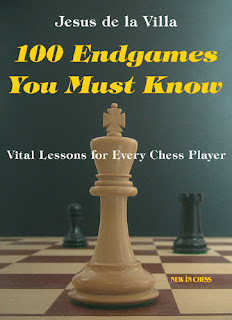 A few come quickly to mind: 50 Essential Chess Lessons, 50 Ways to Win at Chess, Grandmaster Chess Move by Move, Grandmaster Secrets: Winning Quickly at Chess, How to Crush Your Chess Opponents. What these all have in common, besides inviting covers and excellent production, are highly instructive annotations. Game notes are heavily weighted toward explanations and tactical and strategic concerns, as opposed to just dense variations. The Art of Attacking Chess is another Gambit book along this same model. The author is Zenon Franco, a grandmaster and chess trainer from Paraguay. Thirty-three complete games are carefully analyzed, in addition to a number of “supplemental” games or game segments. Read more of the review here, or you can view the permanently archived review here. My August Scholastic Chess ChessCafe column is now online. This month gold-medal winner Alec Getz shares his experiences at the Pan American Youth Championships, and has provided an annotated game from the tournament. 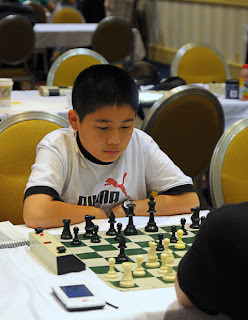 At the U.S. Cadet (Under 16) Championship, Darwin Yang got hot after a rough start and has annotated one of his games for our readers. The U.S. 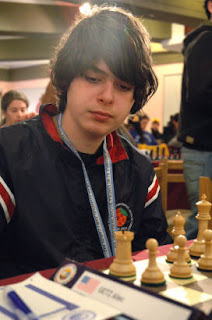 Junior (Closed) Championship was a small tournament, with only four players at the end, but we’ve included the decisive final round game between Tyler Hughes and Gregory Young. Earlier, we had a post about chess played while on roller coasters. 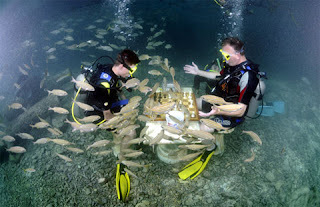 Now ChessBase reports that underwater chess was played at the 2008 Curacao Chess Festival. 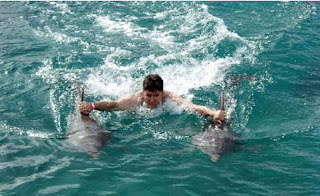 Co-winner Larry Christensen celebrated by swimming with the dolphins, below. On the one hand, I found that 100 Endgames You Must Know has a lot to offer, but on the other hand, there was just a little too much ambiguity for a complete thumbs up. Read about it here. 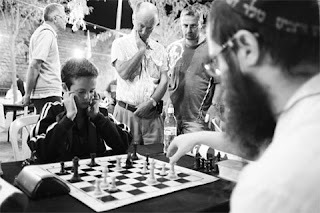 ChessBase has published a beautiful photo essay of the Jerusalem Chess Festival, held July 29-31. 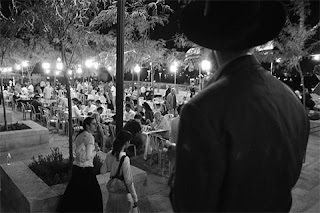 The report, by Emmanuel Gandelman, and photos by Ouria Tadmor, can be seen here. But if your goal is to improve your ability to win more chess games, you have to jump in and play some games. This is certainly nothing new, but a couple simple events drove this point home to me recently. Event #1: For a variety of reasons, I haven't played in an OTB tournament in many years, much as I enjoy chess. But I'd like to get back into it to whatever degree my schedule permits, so I've been studying some basic openings so I'm not already lost by move eight. I chose a line to follow, read the relevant portion of an opening book covering this line, and then reviewed a number of games from my database that followed this line. I then went online to try it out, and in my very first game, my opponent chose moves different enough that I felt completely out of my element. Event #2: I attended a lecture recently, given by a very bright individual, not related to chess at all. He was talking about life experiences, and he noted that in a number of areas, he has found that had he not failed in his initial attempts at understanding a concept or taking a desired action, he would never have grown to become competent in later understanding the concept, or successfully completing the given action. In other words, studying something is important (and necessary if one hopes to gain competence in the subject matter), but you've got to put things into action in some manner to really gauge your understanding. I couldn't help but put these two events together and I came to the realization that, despite so much I've heard from top chess coaches that playing improvement doesn't necessarily come from increased knowledge, I was guilty of relying excessively on trying to read my way to opening success. A more correct way would be to study, then practice, then study some more (including analyzing what went right and what went wrong in this practice), then practice some more. In this manner, the information sinks in much more effectively. To paraphrase the speaker I heard a few days ago, I needed to fail at my attempt at opening competence before (hopefully) later succeeding. Josh Waitzkin discusses this in his remarkable book The Art of Learning, but I guess I had to experience a taste of it firsthand in order to begin understanding this idea.